The Rights of Palestinian Refugees: What Role for the UNRWA? The United Nations Relief and Works Agency for Palestine Refugees’ (UNRWA) sixtieth anniversary has now come and gone. Is this a sign of success or of profound failure? And for whom? The answer will vary depending on perspective: UNRWA’s, the refugees, and the states in which it operates. Nevertheless, the continued existence of an agency that was originally intended as a temporary relief and works organization until the legal and political rights of displaced refugees are restored is testimony to the failure of the whole world to address and solve the tragedy of the so-far ongoing Palestinian refugee crisis. Acting Commissioner General Karen Koning AbuZayd, speaking from the Arab League headquarters in Cairo on December 15, 2009, castigated and urged Arabs to increase their contributions to UNRWA from the current 1% of its operating budget to the historical average of 7.8%. The funding shortfall is all the more pressing because refugees, whose numbers are growing by 3.5% a year, comprise 40% of all Palestinians in the Occupied Territories and more than two-thirds of the Gaza population. (2) Given that the budget deficit is only $58 million and in view of the detrimental effect that this would have on the provision of services to the refugees, this is especially galling. And yet, one may ask, does the international community not bear the primary responsibility for the creation and existence of the Palestinian predicament and refugee crisis? Originally, was not the Balfour Declaration that established the basis for a “Jewish Homeland” in Palestine a British, i.e. non-Arab, affair? Was the UN not itself responsible for the original suggestion to “partition” Palestine? Moreover, are all the successive vetoes that have prevented the implementation of many UN Resolutions supporting Palestinians’ rights not the result of international, i.e. primarily non-Arab, hegemonic pressures? Caught between a rock and a hard place UNRWA finds itself in a predicament that is primarily political, despite its economic manifestations. Undeniably, there is American and Zionist pressure on Arab governments to distance themselves from the Palestinian cause so as to induce the downtrodden refugees to accept an externally formulated “settlement.” Other possibilities include the general criticism of inflated salaries and expenses at UNRWA, along with political partisanship in its hiring practices, a lack of transparency in its administrative operations, and reduction of services. (3) Or is it that Arab citizens in general do and want to help, but that their efforts to do so are hampered by Arab regime / state impediments — for example, the as-yet-undelivered pre-fab housing sitting on the Egyptian border for those whose homes and shelters were destroyed by the Gaza assault last year? According to Andrew Whitley, Director of the Representative Office of UNRWA for the United States and Canada, UNRWA faces deep challenges. Chief among which are dilapidated housing; the rebuilding of Nahr el-Barid camp in Lebanon, including the removal of the 11,000 pieces of unexploded ordinance left behind by Lebanese army shelling; general camp rehabilitation in the region as a whole; fixing declining educational standards as well as increases in the number of school dropouts; addressing financial problems; and managerial reform. (4) These challenges have profoundly deleterious effects on the welfare of the refugees. From the perspective of Israel and its Zionist sympathizers, UNRWA’s “failings” are of a wholly different nature. It is ironic that their primary criticism of UNRWA is what they call, the perpetuation of the Palestinian refugee problem. The implications are that, one, Israel is not responsible for creating the refugee crisis, and two, the resolution of said crisis lies in the refugees’ resettlement in the host countries. The reason for the irony is the (mistaken, but intentional) reformulation of the legal rights of refugees of war. In fact, UNRWA was specifically created with Israeli Zionist intervention in order to prevent and disable the resettlement of Palestinian refugees on their patrimonial land from which they were expelled, terrorized into leaving, and dispossessed. Usually, in the event of a refugee crisis resulting from war, the victims are handled by the UN High Commissioner for Refugees (UNHCR). In the Palestinians’ case, however, the creation of a separate organization, UNRWA, effectively precluded the application of some of the standards of protection that are normally accorded to refugees. Al-Awda argues that the UN refugee convention that created the UNHCR specifically excluded those falling under UNRWA – thus reducing the agency to providing humanitarian assistance without any specific protection mandate. Specifically also and unlike the categorization schema for refugees that UNRWA uses, the UNHCR defines refugee by nationality. It is largely due to this reason, the stateless status of Palestinians under the British Mandate, that Israel, from the very start insisted on the creation of a separate entity to handle the humanitarian affairs of the dispossessed. The bottom line is the undeniable and persistent damage to the rights of Palestinian refugees. Mostly, it is due to a lack of international political will to redress the plight of the Palestinians. But partly also, it ensued from UNRWA’s habitually uncertain future, requiring regular renewal of authorization for its continued operations. In addition, precarious funding limited the agency’s level and scope of assistance. Financial troubles have resulted in the deterioration of educational, health, and other services. These problems are structural and difficult to counteract or overcome. It could be argued that the creation and existence of UNRWA is both a product of and a factor in the fundamental disagreement over the principles and basic rights standards for the resolution of the Palestinian refugee crisis. As Milton Viorst pointed out at the aforementioned panel discussion on 12/1/2009, the “Works” part of the UNRWA name has been dropped and the principal activity of the organization has been reduced to purely humanitarian relief. This was due to financial limitations, underdeveloped skills, as well as lack of cooperation from Arab countries as well as Israel. Needless to say, no “Works” has hurt the economic development possibilities for the refugees and also prevented their integration into the host countries. Not that the refugees wanted to build new societies: they continue to insist on their aspirations to return. From the start, there was some refugee suspicion of UNRWA activities, deriving mostly from the (perceived?) ambiguity of their potential resettlement in the host countries – a prospect that they overwhelmingly and strongly rejected. While UNRWA insisted that their initial works projects aimed at economic development and were not meant to prejudice the Palestinians’ rights of return and / or compensation, its continued reference to “host country absorptive capacity” evoked anxiety. This line of reasoning ignores the most fundamental facts. Namely, that unlike most Arab Jewish emigrants to Israel, Palestinian refugees had no choice in their dispossession and exile. They did not want to leave. In contrast, most Jewish “refugees” left at the behest of the state of Israel and other Zionist organizations urging them to do so. Moreover, their departure took place over many decades. Israel historically did not cite that as a reason for why it refuses to allow the Palestinians’ return. The idea of equivalence is only a recent phenomenon meant to counteract the growing sympathy that the Palestinians’ plight is generating. In conclusion, what matters most is the welfare and the preservation of the political rights of the Palestinian refugees. 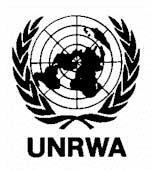 As an agency that is primarily concerned with administering their humanitarian needs, UNRWA has a mixed record. And its ability to rectify its deficiencies is greatly constricted by the structural organization of the agency, as well as by the political configuration and the economic limitations in which it operates. All of these factors have contributed to the plight of the refugees. They have also impeded what rightly ought to be among the chief concerns of resolving any refugee crisis: namely, the post-conflict return and resettlement of the displaced population, including to their original homes if they so choose. Dina Jadallah is an Arab-American of Palestinian and Egyptian descent, a political science graduate, an artist and a writer. She can be reached at [email protected]. (4) Speech given at a Panel Discussion on the occasion of UNARWA’s Sixtieth Anniversary at the Carnegie Endowment for International Peace, Washington, D.C., 12/1/2009. (7) See http://www.google.com/hostednews/afp/article/ALeqM5ivzerKldTJsfaZVno2akJ0XDV3ew. For the text of US House of Representatives Resolution 185 (4/1/2008) in support of this position, see http://www.jewishvirtuallibrary.org/jsource/US-Israel/HRes185.html.